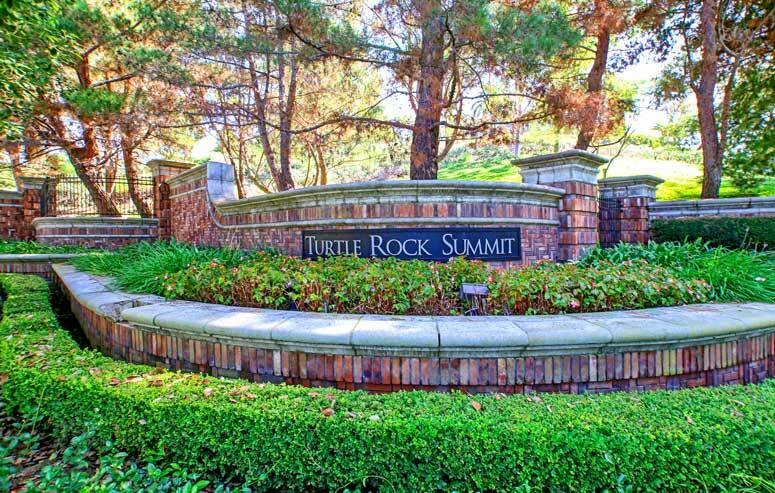 Turtle Rock Summit is a guard gated community with some of the finest homes for sale in the Turtle Rock area. These are elegant homes that often sell for well over $2 million dollars with pool size lots and large square footage homes. The Summit is widely held as the most desirable neighborhood in the Turtle Rock area and offers a large community pool at the perimeter of the neighborhood. Please call us at 949-988-0605 to schedule a showing of any Turtle Rock home. The Turtle Rock Summit community offers two gates located off Hillsborough Street. 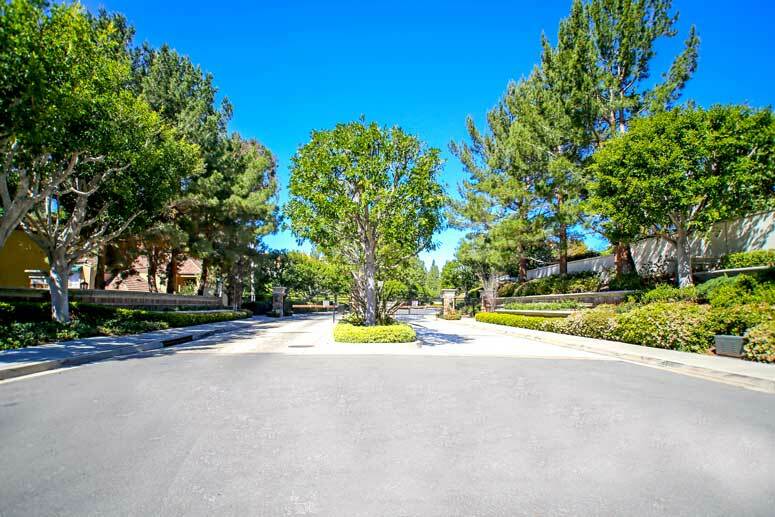 The gate off Turtle Rock Drive is the main entrance while the gate pictured below at Ridgeline Drive is for residents only.Due to the guard gated entrance showings of homes do require the assistance of a licensed Realtor.